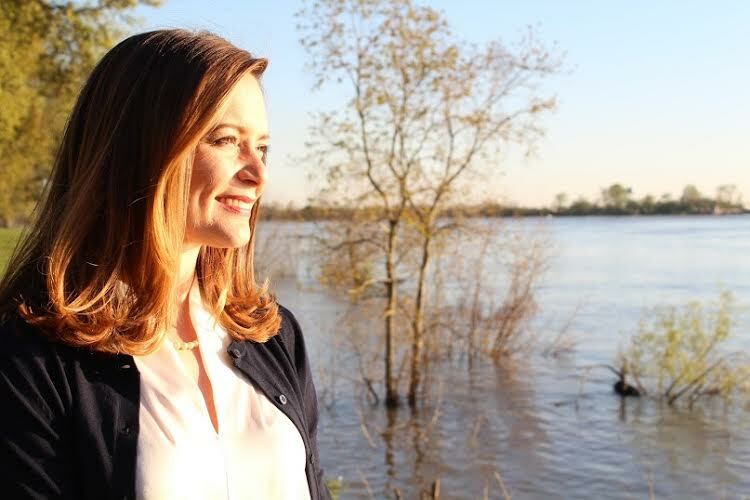 Caroline Fayard is one the top candidates in this year’s US Senate race in Louisiana, currently polling first among Democrats in the race. Millennial editor Robert Christian asked her about her views on public service, her faith, and more in the following interview. Growing up in Livingston Parish, I have been very fortunate to have parents who never set limits for me. They told my brother and me the same thing, which I think is important for young people to hear – you can be whatever you want to be in this life. It was with their voices in mind that I was able to become valedictorian of my high school class at Episcopal in Baton Rouge, established my very own law practice in Louisiana, and helped start GLO Airlines based in New Orleans. I never let doubts about my drive or capabilities as a woman stand in my way. I let them motivate me. I’ve been fortunate for my blessings, but I’ve also seen a lot of hardship that Louisiana has endured during my lifetime. I’ve lived through the struggles that we’ve all had to overcome as a community: the aftermath of Hurricanes Katrina & Rita, the BP Oil Spill, and the mismanagement of our state government by Bobby Jindal. And our challenges are not over. Now we’re facing the highest gender wage gap in the nation, the highest incarceration rate, and failing marks in education, all the while tackling the tremendous challenge that the historic floods have brought upon our state in part by climate change. Louisiana needs a new voice and a new generation of leadership to face these challenges. It will take forward thinkers to overcome the challenges that lie ahead. I am running because we need a new generation of leadership. A new direction and a new approach in Washington. And I am proud to be one of the only women in this race. It’s important for me to represent the folks out there who are tired of the same old political games being played by my opponents. I believe it’s time for a new generation to stop playing the same political games of the past 40 years and go to work to make sure Louisiana is a great state for this generation and the next. That is why I am running. I first heard about your campaign at the Governor Casey Whole Life Leadership Award reception, where Gov. John Bel Edwards was the recipient. Does that ‘whole life’ approach reflect your approach to human life and dignity? What role does protecting the vulnerable play in your approach to politics? I find the “whole life” approach refreshing because in today’s 24-hour political news cycle, folks tend to focus in on certain issues or one aspect of issues without taking into account the meaning or symbolism behind the policies. If we truly care about life, we need to focus on human lives holistically, both in terms of their quality and vitality. It breaks my heart to constantly see Louisiana near the bottom in education and poverty year after year. And I truly believe that most, if not all, people want to work, want to better their lives, but often they are not given the chances or the resources early on to succeed. In order to help folks better their lives, to make our state more economically vibrant, we need to come together and do our best to provide the resources needed for development in all communities, not just the few. How does your Catholic faith influence you as a person and how you approach public service? As Catholics, it is important to always challenge ourselves to reflect on the world through the lens of social justice, and I believe a large component of that starts with understanding others. I do my best to keep this perspective, to listen to others when they are talking, and to truly hear their point of view. In politics, it is so easy to get caught up in partisanship and labels, but behind every Democrat or Republican, there are usually people who want to help, want to do right by people. I do my best to always see issues from the other’s perspective. What do think are the biggest policy changes that are needed to help Louisiana and the US? For Louisiana, it is essential that we close the gender pay gap. Louisiana is ranked last in the nation, with women earning 65 cents to the dollar for every man. Working families are losing some $11 billion in income every year because of this. Closing this gap would translate to nearly $17,000 more for working families in Louisiana annually. To put this in perspective, this amounts to 137 more weeks of food for her family; 14 months of utility payments; 21 months of rent; or 8,189 gallons of gasoline. This is an issue that is straightforward, dollars that will immediately help working families and help the greater economy by empowering consumers with more purchasing power. And I should mention that more than 278,000 Louisiana families are headed by women; this is not just an issue for women, it is an issue for all Louisianans. That’s why, if elected, I’ve pledged to donate 35 cents of every dollar of my Senate salary to Louisiana-based women’s charities until the Pay Equity Act is passed and women are required to make the same as their male peers. I also believe that that the minimum wage in Louisiana should be a living wage. Period. That means people who work in our community should be able to live decently and raise their families here. This requires a wage and benefits package that takes into account the area-specific cost of living, as well as the basic expenses involved in supporting a family. Working people should not have to work 2-3 jobs just to make ends meet. We also must not forget that these working families are also consumers, and that increases in income are correlated to increased spending by consumers for local businesses. Communities, not just individuals, will see the benefits of creating a living wage standard. You have run as a champion for women. Along with closing the gender pay gap, which you mentioned, what does that look like in practical terms? Well, a lot of women’s issues translate to real dollars for all Louisiana families, so in practical terms, that means recognizing that the national family dynamic has changed and that women deserve an equal place at the table for all families to succeed. That includes closing the gender pay gap and creating more affordable resources for childcare and early childhood education, as well as increasing access to paid family leave. And though these initiatives will help all families, they will particularly help working mothers who are below or near the poverty line. And like the pay gap, this is an issue where everyone wins: for every dollar that is spent in the childcare sector, $1.72 is returned into the economy. Similarly, for each new childcare job that is created, 1.27 jobs are created in the larger economy. As one of the only women in this race, I think it is also important for me to represent not only the female voice in Louisiana, but also to represent the folks out there who feel they have been left out of the economy. My unique perspective not only as a woman representing over half of the population, but also as a small business owner in this community, helps me understand the kind of struggles people go through to have their voice heard. I believe that is what is wrong with the perspective of my political opponents and the political elite here in Louisiana, not listening to the people while they have been playing their games amongst themselves for the past 40 years. It only motivates me more to give a voice to our families in need and to work with every thread of my being to making a better Louisiana. You have been emphatic in your opposition to David Duke. 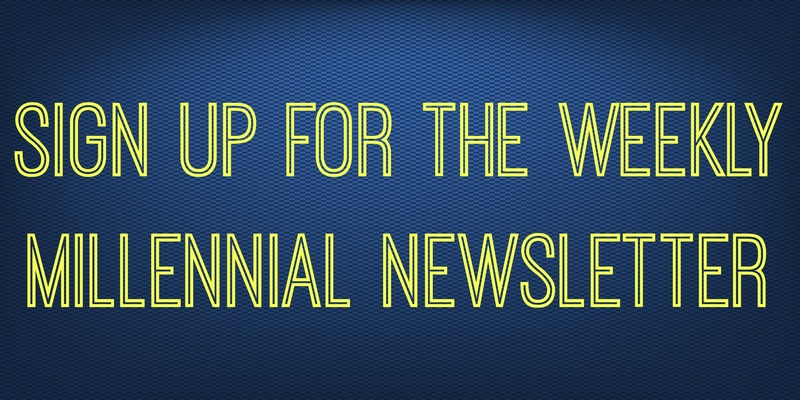 Why have you been so forceful about this and placed it at the center of your campaign? Look, David Duke represents the worst of Louisiana’s past. As the candidate who represents the most clear contrast to Duke, I believe I am best positioned to build the broadest coalition of voters and attention to this campaign to win a December runoff, and this is already becoming apparent. I do not believe that Mr. Duke represents Louisiana, but I also know that some folks aren’t completely familiar with his past, and that he does have a small, but very loyal following, with some polls suggesting as much as 13%. We cannot let our guard down and allow his hateful and divisive rhetoric to define this election or the great people of our state. We are stronger together and we cannot lose sight of that. That is why I am standing up to his bullying and will continue to call him out.